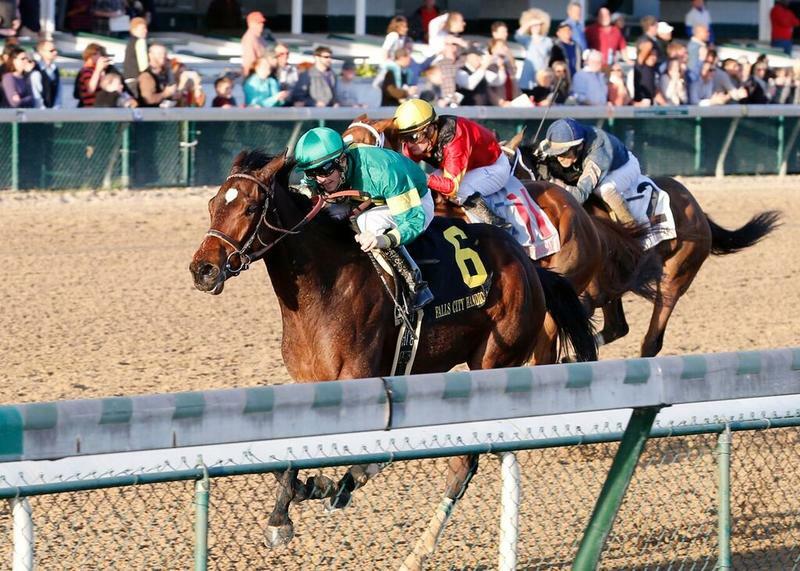 Stoneway Farm’s homebred 3-year-old filly Ahh Chocolate rated patiently in second before taking command in the stretch and drew away to win the 100th running of the $200,000 Falls City Handicap Presented by TwinSpires.com (Grade II) on Thanksgiving Day at Churchill Downs by 1 ½ lengths over Theogony. Ahh Chocolate, trained by Neil Howard and ridden by Brian Hernandez Jr., ran 1 1/8 miles over a fast track in 1:49.68 – the fastest Falls City renewal since Allamerican Bertie clocked 1:49.60 in 2002. It was the first graded stakes win of Ahh Chocolate’s career. 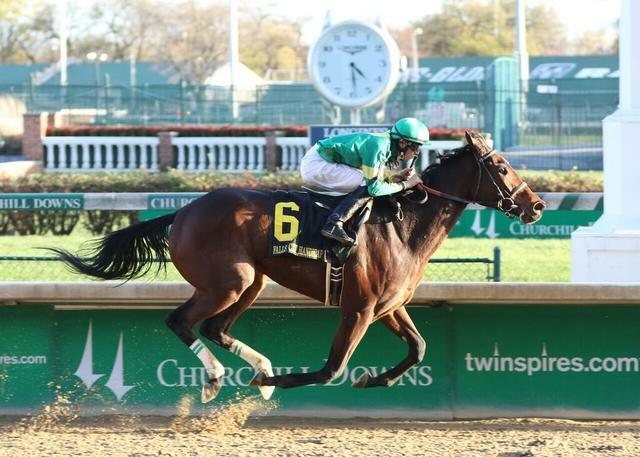 Ahh Chocolate, a runner-up in the Grade II Chilukki on Nov. 1, and Theogony tracked pacesetter Gambles Rose, who led the field of nine fillies and mares through early fractions of :24.12, :48.31 and 1:12.77. Hernandez moved Ahh Chocolate wide on the final turn, took the lead at the head of the lane and never looked back as the runner-up chased the winner. “We got a great spot around the backside and from there we were on the best horse,” Hernandez said. Third in the Black-Eyed Susan (GII) on the day before the Preakness at Pimlico, Ahh Chocolate was subsequently fourth in the Indiana Oaks (GII) and 10th in the Arlington Park’s Pucker Up (GIII) on turf. Howard gave the filly a brief freshening and she returned in September with a trio of one-turn races, including a 4 ½-length defeat but runner-up effort in the Chilukki. Ahh Chocolate, who carried 115 pounds during the victory, is a Kentucky-bred 3-year-old daughter of Candy Rode (ARG) out of the Saint Liam mare Ahh. The victory was worth $119,040 to her owner/breeder Jim Stone and brought Ahh Chocolate’s career earnings to $119,040 from four wins, one second and one third in nine career starts. Ahh Chocolate returned $14.20, $7 and $4.20 as the 6-1 third betting choice. Thegony, who carried 117 pounds under Julien Leparoux in her first race on dirt, returned $12 and $7 in finishing one length in front of Call Pat, who paid $4 to show under Joe Rocco Jr. while carrying 117 pounds. Birdatthewire, the 2-1 favorite and 118-pound starting high weight, was another three lengths back in fourth and was followed by Pretty Fancy, No Fault of Mine, Salama, Gamblers Rose and Montana Native. The race was marred by a fatal fracture to 3-year-old filly Chide’s left front leg just before the field hit the top of the stretch. 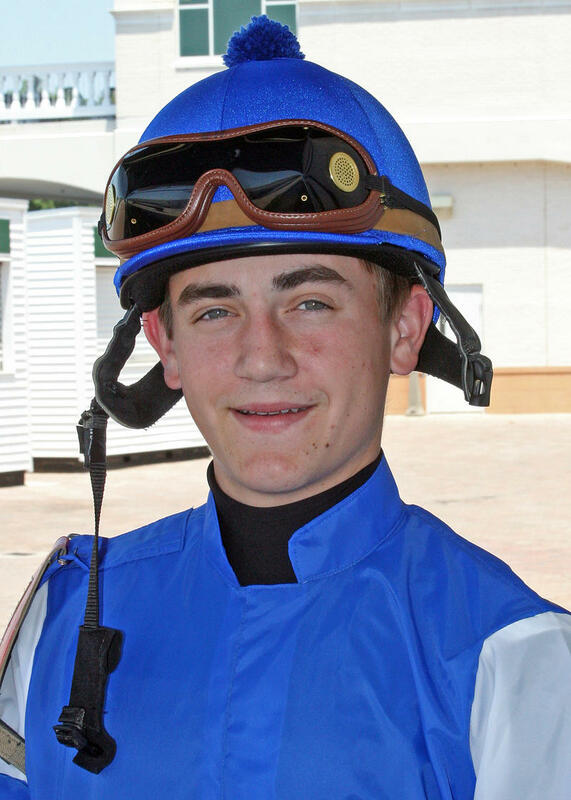 Her jockey Miguel Mena was unseated but was reported to be “okay” and returned to the jockey’s room. Two of the top choices on the morning line – Frivolous (tendon) and Tiz So Sweet (fever) were scratched Thursday afternoon. Needmore Flattery was scratched early Thursday morning. 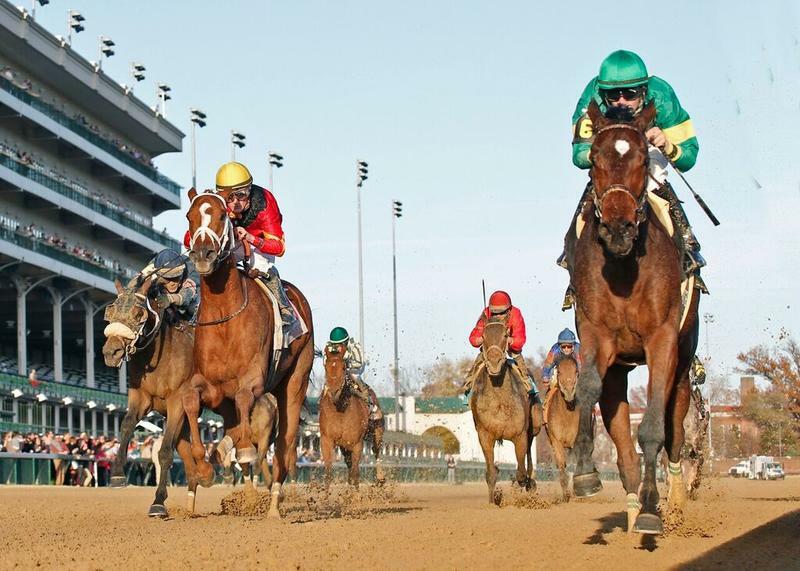 The Falls City is the traditional main dish on the Thanksgiving Day menu at Churchill Downs – a Louisville tradition since 1969 where more than 7,000 turkey dinners are served with all the trimmings, making it the largest number anywhere in the region. This year’s holiday program also included the 38th running of the $100,000 River City Handicap (GIII), a 1 1/8-mile test for older horses over the Matt Winn Turf Course, which was won by Terry Hamilton’s Heart to Heart. Racing resumes on “Black Friday” with a 12-race program that begins at 12:40 p.m. (all times Eastern). The 142nd running of the $500,000 Clark Handicap Presented by Norton Healthcare (GI) highlights a program that also includes the $100,000 Commonwealth Turf (GIII) for 3-year-olds at 1 1/16 miles on the Matt Winn Turf Course and the $80,000-added Dream Supreme Overnight Stakesfor fillies and mares at six furlongs. Also, there’s a 13-day Single 6 Jackpot carryover of $172,006 that covers Races 7-12.